Each journey requires an appropriate device. This building in the East-German countryside at Gellmersdorf used to be a stable for pigs for very long time before changed to an airplane in 2012 by a local aviation enthusiast. 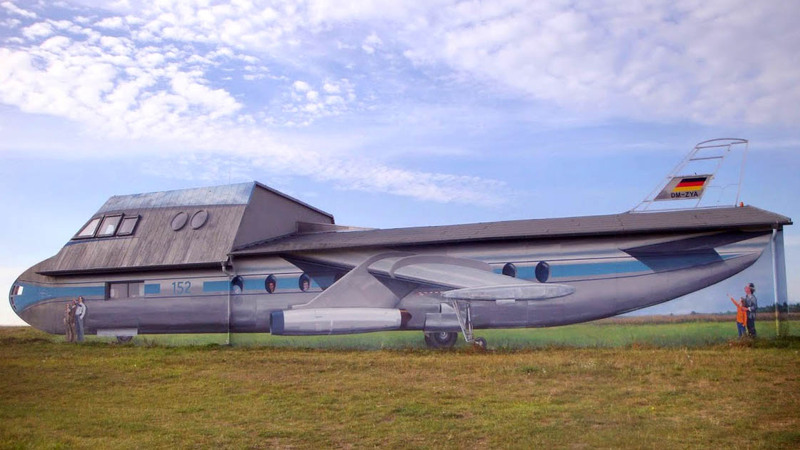 The painted house shows “Aircraft 152” being built in the former German Democratic Republic starting from 1958. 12 jet aircrafts of this type were manufactured then production was stopped as it had turned out as simply too expensive. The premise serves as a small information centre and venue regarding aviation.